Nestled between LA and Orange County, Long Beach is home to a population of just under half a million residents. It is the second largest city in the Greater Los Angeles area and is a major port city in the United States. Its demographic profile makes it vulnerable to a wide range of pest problems typical to similarly sized cities throughout the US. 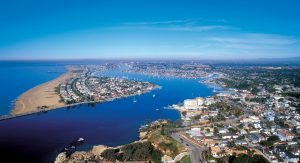 The Long Beach climate is largely defined as having a Mediterranean climate, but with some of the characteristics of a semi-arid climactic zone. It experiences typical Southern California weather, with warm, dry summers and mild winters. Most rainfall occurs in the area during winter. This climate profile sees Long Beach experience typically average pest issues common throughout the US West Coast. Typical pest problems in the Long Beach area include bees & wasps, cockroaches, and rodents. Stinging insects such as bees and wasps are common around Long Beach. These pests can be a particularly dangerous problem as many people are highly allergic to bee and wasp stings. If a bee or wasp nest is found at a property, contact should be completely avoided and a pest control agent should be called as soon as possible to arrange for removal of the nest. Stinging insect infestations on a private property are the responsibility of the owner in the Long Beach area, and may be reported to authorities by neighbors if the problem is a concern to adjacent properties. Another common pest problem in Long Beach is rodent infestation. Rats and mice can enter a building through very tight spaces, including door gaps, cracks and vents. To prevent rodents from entering a property, care should be taken to prevent access to a domicile through these means. This can include blocking up any entry points with wire or screen mesh, cutting back trees and shrubs around roof areas, and ensuring that door gaps are no bigger than a quarter of an inch. Potential food sources should also be limited by keeping food stores and refuse sealed and contained. Rodent infestation is again the responsibility of the property owner in a rental situation. However, residents of Long Beach are eligible to obtain free rat bait (a rate of one unit per property, per week) if they would like to attempt to treat the problem themselves. One problem with this solution is that rodents can ingest the poison and then die somewhere in your home, which can lead to foul smells and attract insects such as maggots to the dead rat or mouse. Additionally, rat bait is generally not advisable for use by pet owners as the poison can affect pets too. If rodent infestation is detected, an exterminator can provide a quick, safe and efficient solution to rodent problems. There are a number of high-quality pest control providers in the Long Beach area, including Leonardo’s Pest Control. Leonardo’s Pest Control is a family-run business that has been servicing Long Beach residents’ pest control needs since 2005. They offer a range of extermination sources from treatments for rodents, to roaches, to ants, and other common pests. Other good options for professional pest control in the Long Beach area include Dewey Pest Control, A-1 Watkins Pest & Termite Control and Cal Coast Termite & Pest Inc.